BTOOOM! is very much an anime version of The Hunger Games, which itself is an American version Battle Royale. In fact, I'd go so far as to say that this series is like a cross between Battle Royale and Bomberman because not only are the protagonists stuck on an island of certain death, but they only have a variety of bombs at their disposal. Based upon the manga series of the same name by Junya Inoue (available in English from Yen Press), it follows the source material pretty well to the letter, albeit out of order. That said, I'm currently only up to volume 5 of the manga. Ryouta Sakamoto has suddenly been transferred in to a deadly high stakes game. A game he is all too familiar with. 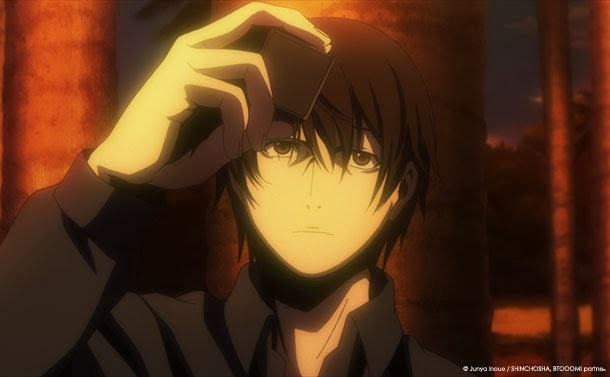 Left on a mysterious island with a set of provisions, a bag of bombs and a strange crystal embedded into his left hand – this is the world of Btooom realized. 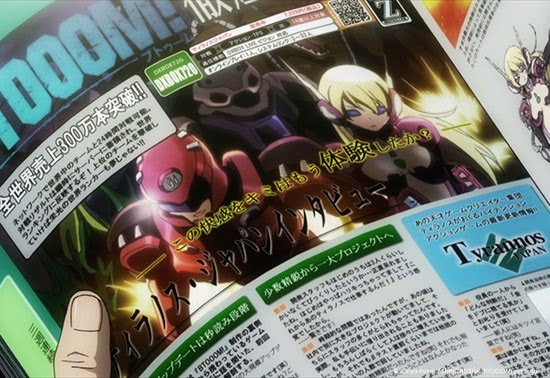 Visually, BTOOOM! is pretty good but not fantastic which is somewhat out of character for studio Madhouse. The character design is spot on throughout and perfectly mirrors those of creator Junya Inoue and the backgrounds add to the overall gritty feel to the series but inconsistencies in animation quality let it down a little. Also, the DVD release seems to suffer from a smattering of compression artefacts, especially in low-light situations, but not so much that it becomes annoying. Without the Blu Ray release for comparison it's difficult to know whether this is restricted solely to the DVD transfer. 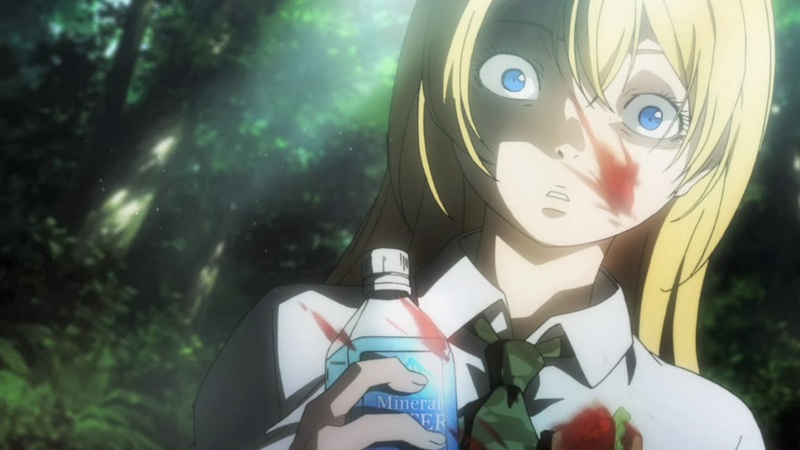 One cool part in BTOOOM! is the exploration of human nature, cool but disturbing. Each and every person stricken to the island has some kind of issue in their past that they're now answering for, with some of those issues worse than others. Therein lies the beauty of BTOOOM. To survive, you need to band together with strangers and hope that they are on the island for being bad at their job, not because they're a murderer. Then we get to see whether our 'heroes' will become killers when surrounded on all sides by murder. Be forewarned, there are plenty of confronting scenes in this series that some may find hard to watch. 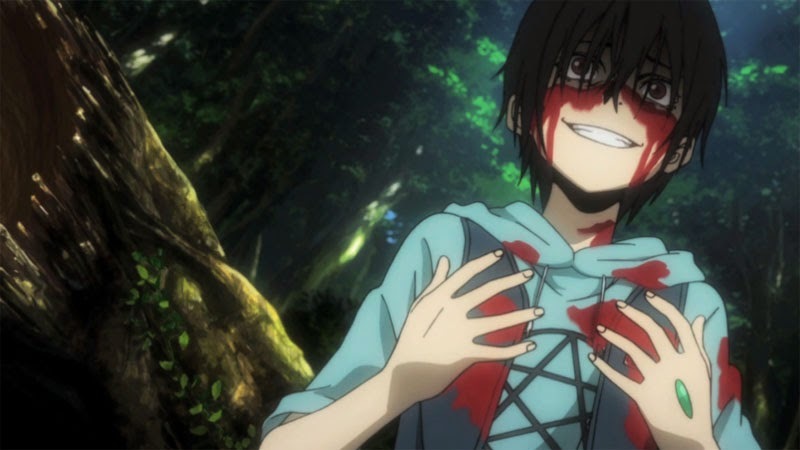 The problem with BTOOOM! and Battle Royale is that it can be difficult to establish an emotional connection with the characters because they're generally placed in these 'games' because they're jerks. BTOOOM! makes its way around this issue by including two main characters who are loathed by others for reasons which aren't overly deplorable or are understandable in the circumstances. Other characters promise intriguing back stories but they're not explored in the slightest. The major downfall of this series is that it just doesn't deliver. We don't get to know why these other characters are on the island, not even through brief exposition, and then we don't even get any real resolution at the end of episode 12. BTOOOM! could have been a fantastic exploration of humanity at its darkest but instead makes introductions with no pay off. This series could have been something special and while it's still enjoyable, there's just no pay off which ends up making the whole experience feel like a missed opportunity. At a slight 12 episodes long I can't help but feel that this series should have had a longer run to enable more character development and to avoid the episode 12 rush for completion. Unfortunately too many questions are left unanswered and too many loose ends. We never learn the motives or back story of many of the combatants, the motives of the games organisers nor the outcome of the game. That said, the gimmicky bombs and a number of brutal 'dispatchings' make for some fun viewing. BTOOOM! is available from Hanabee now on Blu Ray and DVD. I have watched the DVD. It is amazing and sometimes I review it when I pass a free time. I have stored the series onto DVD by CD & DVD Duplication service.